On Wednesday, 19th through to Thursday, 20th of October RAPP Australia Pty Ltd will be proud to sponsor and attend the Council of Ambulance Authorities 2016 Conference (CAA) which is held at Rydges South Bank Hotel, Brisbane, Australia. Come visit us at Booth 7 where you will view our new NEANN Capture Jar Set and the CAERvest Core Body Cooling System. 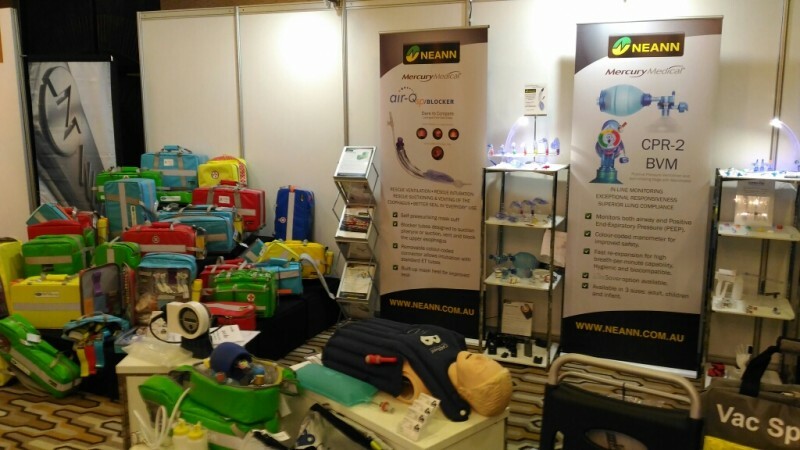 Also on display will be a wide range of NEANN products including (but not limited to) NEANN Medical Kits, Res-Q-Vac, air-Q Laryngeal Mask Airways, Bag Valve Masks – CPR-2’s, VeinLites, Naso-Flo’s, Pulse Oximeters and our Flow-Safe II CPAP Masks.